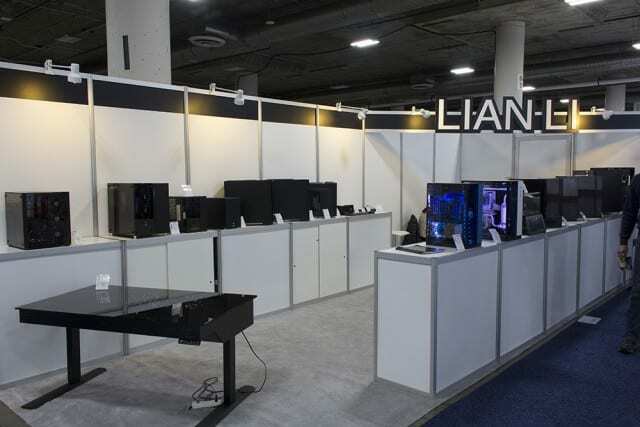 Some of the highest quality cases are made by Lian Li, below we’ll go through what we saw at their booth during CES 2017. Their whole booth can be seen below. Firstly, we were able to get close-up with the desk case made by Lian Li, the DK-05. There is actually an electronically controlled height built in to this desk. Since there are so many offerings, I opted to simply take a picture of each case and its specifications to show everyone. These are below in the slideshow. Stay tuned to see even more coverage from CES 2017!